Designed by Avery Locklear, a 19 year old volunteer from the Foothills group, and Jody Cedzidlo of Pittsboro, the bandanna hopes to educate children about how our state’s wilderness came to be protected and encourage them to get out and explore nature. 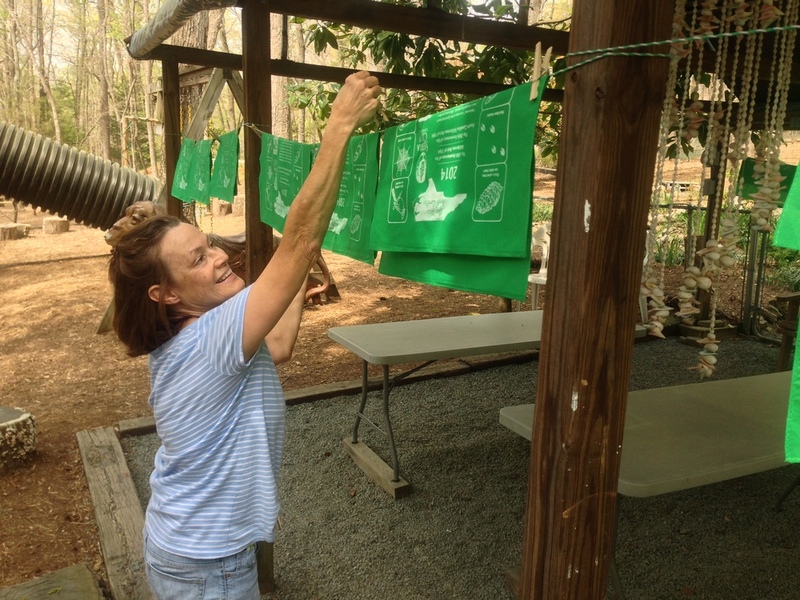 Volunteers worked together last Sunday to screen print the first round of bandannas that will be given away at the Celebration of the MIlitary Child Outdoors near Camp Onslow Beach on April 26. Special thanks to Nancy Card, Kelly Mieszkalski, Pat Carstensen, Chris Bard, Miriam Chicurel-Bayard and Dustin Chicurel-Bayard for screen-printing the first run of this limited edition product.